My Review: In "The Snow Queen", a young girl must venture on a long quest in order to save her next-door neighbor from the hands of the Snow Queen. In this retelling of "The Snow Queen", the young girl does not go on a long journey. Rather, she goes to a museum in London, where her father is in charge of an exhibiton. She discovers a mysterious boy who has no name and claims that he is a prisoner of the Snow Queen. The young girl realizes that the museum and the workers of the museum are not what they seem to be. The setting of the story takes place in a museum. Ophelia’s, the main character, father is a sword expert and is putting together an exhibition of swords around the world. She, at first, thinks that it is an ordinary museum; she explores artifacts and likes to look at dinosaurs. When she discovers the mysterious boy who is trapped inside the museum, she realizes that the museum is the Snow Queen’s world, and that she is planning on using the exhibition that Ophelia’s father is working on as the time to set the world into an eternal winter. 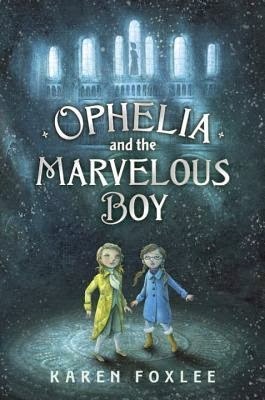 Ophelia must rescue the mysterious boy from the hands of the Snow Queen and then save the world. She finds that the museum is a place of magic and she discovers ghosts, monsters, and villains. Ophelia is an emotionally-damaged character. Her mother has passed away three months prior to the story, and she is still coping with the loss. She has no self-confidence in herself, and thinks that she is not pretty. She has a broken relationship with her sister, who has ignored her since the death of their mother. Her father copes with the death of his wife by distancing himself from his children and immerses himself in his work. Ophelia is a lonely child, and she cheers herself up through her passion for science. She is reluctant to rescue the boy and to save the world. 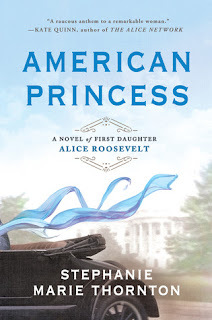 But what makes her courageous and a strong heroine is that she is curious and always asks questions and the thought of her mother and what she would say to Ophelia if her mother was still alive. Overall, even though it is a retelling of "The Snow Queen", it is actually about a girl who tries to cope with the death of her mother and to bring back the wholeness of a family who has been torn apart by a tragedy. Because it is set in a museum, there are references to history and science. The fantasy world of the museum is magical. The characters are realistic and well-developed. This book is appropriate for readers ages ten and up. I recommend this book to fans of fairy tales, fantasy, the Chronicles of Narnia series, Roald Dahl, and Polly Shulman’s The Grimm Legacy. I would also recommend this to anyone who has just lost the death of a loved one. This book will sure help you find comfort, joy, and encouragement. It sounds interesting, Lauralee. I feel that fairy stories are very important, and the same must be said even of modern fairy stories. They are the path, not only into our imagination but also into our soul. Thanks for the review. Thanks for the kind words. I agree just as Mrs. Dickerson said that we can learn from them.